It’s finally happened. 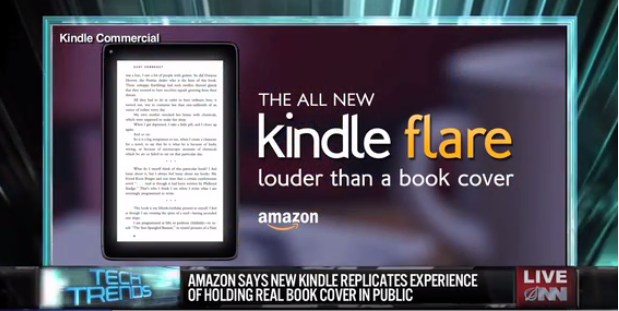 Amazon’s Kindle has become the target of a fake video news report from The Onion! 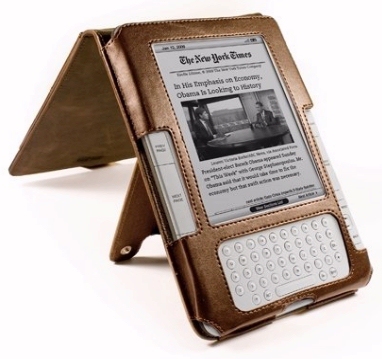 “This week Amazon unveiled The Kindle Flare — the latest model of their popular e-reader,” reports a (fake) newscaster from the Onion News Network. I especially liked how their story begins with a flashy “Tech Trends” logo — making it seem like a real news story. And they’ve even fabricated a supposed commercial which will advertise the new Amazon device. 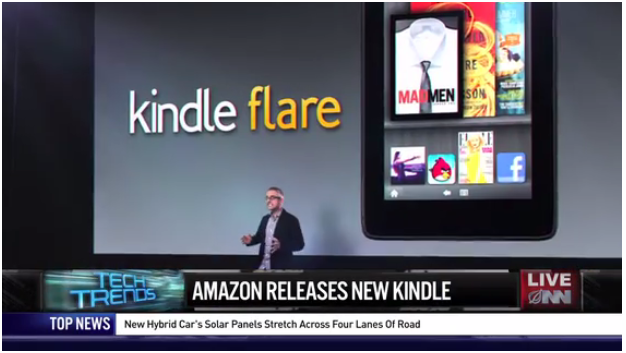 Like most Onion stories, it’s their straight-faced delivery of the “Kindle Flare” story which makes their parody so funny — including all of its realistic little details. (“Custom Dolby Audio Shouting…”) Their report even lists out some of the supposed advantages of the new Amazon Kindle Flare. Interestingly, The Onion has already become Amazon’s #7 best-selling newspaper for the United States. (No joke!) The New York Times is #1, with The Wall Street Journal close behind, and then The Washington Post, USA Today, The Financial Times, and The San Francisco Chronicle. But #7 is “America’s Finest News Source” — The Onion. As with all satire, there’s a grain of truth in The Onion’s “Kindle Flare” story. The Onion also reports that Apple has released a new version of the iPad — which whispers, over and over again, “I have an iPad.” And The Onion even imagined one more headline for one of Amazon’s competitors.